View cart “Smooth Rose Kernel 30 ml.” has been added to your cart. Taut is packaged in a 15 ml. Miron glass jar. The feedback was unbelievable. Taut was helping her clients with their dark and puffy eyes and it was brightening and firming the skin (WHAT?!?!) and because it was so hydrating and moisturizing, fine lines were softened too. Taut was an immediate success. 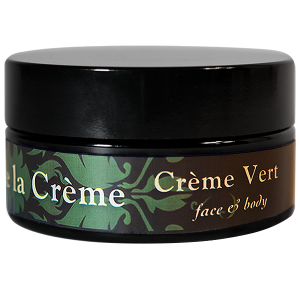 When Elisha introduced Taut to her Parisian lady friends, they called it “Magic” and coming from women in Paris who swear by their creams this was the utter testament. Taut is beloved by her clients. They cannot live without it. INGREDIENTS: Certified organic oils of avocado, certified organic hydrosols of rock rose, cornflower, frankincense, Bulgarian rose, German chamomile and cucumber with beeswax, non-gmo vitamin E, certified organic black, green and rosehips tea with food-grade grapefruit seed extract and a dash of honey. This product is 98% certified organic. Elisha’s standards for sourcing honey and beeswax far surpass those set for certified organic foods. To learn more about the quality of our ingredients please visit our FAQ and ABOUT OUR PRODUCTS pages. NOTE: Avoid rubbing and pulling at the skin. Always sweep and lift and press gently. Avoid dragging skin downward. STORAGE: Taut does not need to be refrigerated but it feels great when applied cold to the skin. Our creams are fresh, preservative-free and meant to be used within 60 days of purchase. For more information please visit or FAQ page. 7 reviews for Taut La Crème Yeux 15 ml. I have never been one for eye creams due to the fact that my skin is sensitive and the “regular” eye creams would irritate my skin and leave behind an undesirable residue. I am very impressed with Taut. It is thick, creamy and my skin soaks it up! No left over residue. I have applied it to my entire face when the winter dryness has taken over and Taut did wonders. Also, I have been applying it to a scar I have between my eyes that I acquired during my childhood and it is not as defined nor as deep as it was previously! Because all of Elisha’s products, she only uses the most natural, organic ingredients, you can trust that what you put on your skin and especially around your precious eye area is safe. I am using Taut not only around my eyes, but on some deep set lines above my nose and corner of my lips. A little is only needed. I will continue to use Taut for years to come! The absolute best I have ever tried! And it works. Nothing out there compares to this eye cream!! I used this under my boyfriend’s eyes. Every since ive known him they have been puffy. He washed his face and I tapped this on and around and in 10 mins the puffiness reduced significantly. I was amazed! Great product. Use it! 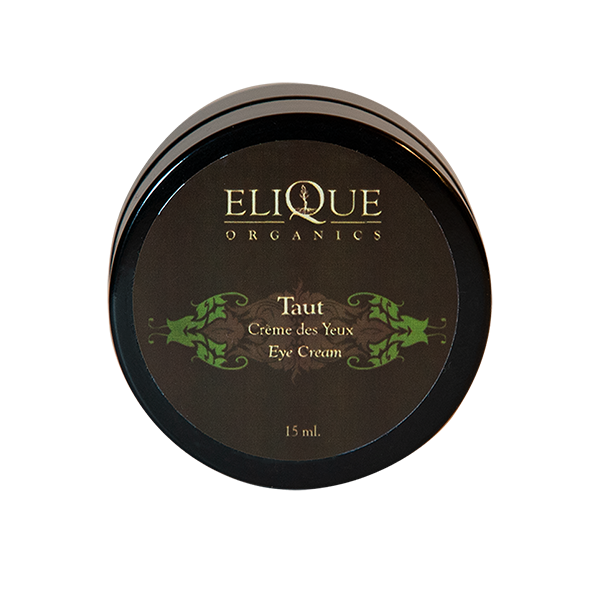 Honestly, I have never really felt that eye creams made much of a difference…until I started using Elisha’s Taut. It really does reduce the dark circles I have had for years under my eyes. Thank you Elisha! No irritating eyes with Taut!! Wearing contact lenses I have to be careful what goes around my eye and this is truly exceptional. My skin feels so, smooth and hydrated with this it’s amazing!! Every now and again when it’s been too hot to get a descent night’s sleep and I wake up with puffy eyes I use the magic teaspoon over ice followed by Taut and voila!! I absolutely adore this eye cream. It is so creamy and delicious, and the delicate eye area drinks it all in with relish. It has helped soften the wrinkles around my eyes, and has helped decrease puffiness, bags and even diminish dark circles. 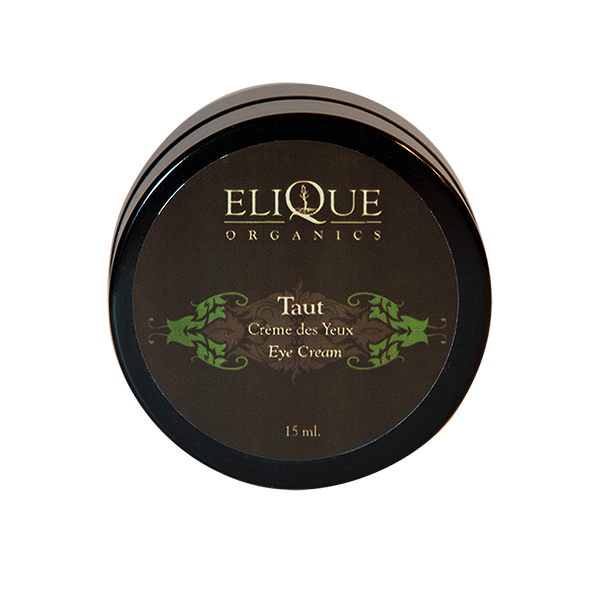 I delicately massage the eye area with Taut during my routine, and I’m transported. And it is so delicate and nourishing without any eye irritation whatsoever, and my eyes are extremely sensitive. I don’t know how I ever lived without this gorgeous eye cream. 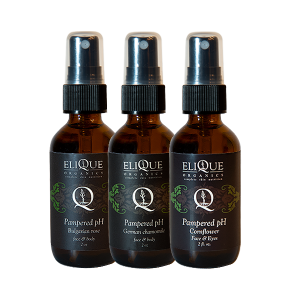 I think all of Elique’s products are soul food for the soul! I will use them for as long as Elisha keeps making them — hopefully forever! 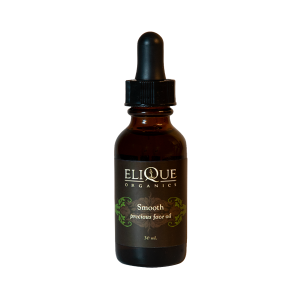 Smooth Facial Oil 30 ml. Sweet Clean Facial Honey 100 ml.